Whether your searching for information on golf communities in Naples, Bonita Springs, Estero or Fort Myers, below you will find highlights for the latest real estate statistics for single family golf homes and golf condos in multiple southwest Florida luxury golf communities. Overall, the latest real estate trends for luxury golf communities in Naples, Bonita Springs, Estero show the market for luxury properties continues to soften in golf communities. It is a buyers market. With a handful of exceptions, the months of supply of housing inventory has moved above the 6-7 month healthy market range. However, each community varies. For example, Grey Oaks only has 7 condos on the market and only 5.6 months supply of inventory which is pretty limited. Bay Colony at Pelican Bay, on the other hand, has increased to a 39 month supply of inventory for single-family homes which is the highest supply of inventory in a Luxury Golf Community in Naples. So, if your a luxury home buyer, now would be the time to look at property in Bay Colony since a large supply means there should be room for negotiating a great price. Contact me today to help identify the best south Florida golf communities for you and your family to consider to get the best return on your investment. If you do not see a snapshot of the southwest Florida luxury golf community you are interested in, contact me for a complete market analysis. So, if you’re ready to begin your search for Southwest Florida Luxury dream home or condo, we encourage you to explore our website to find information about communities in the area. If golf is your game, we specialize in golf community real estate and would be happy to help you navigate the more than 150 different golf communities in our area. If you prefer a more direct approach, we will provide a list of properties that meet your criteria and/or communities that meet your needs. Considering Selling Your Home in One of These Private Golf Communities? If you are looking to sell a home in Bonita Springs, Estero, Naples or Fort Myers, we encourage you to work with a REALTOR® who has the experience and knowledge to provide an accurate market comparison so you can determine the right asking price. If you live in a golf community in southwest Florida, you are competing with more than 150 other golf communities. Contact us today to learn how your home or condo stacks up against the competition and how we can position your property to sell quickly and for a fair price. 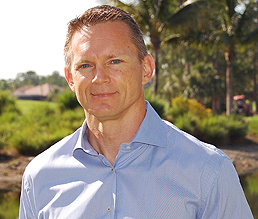 The above information about private golf communities was provided by Matt Klinowski, an expert in Southwest Florida Luxury Golf Community real estate. When you are ready to buy or sell a single family home or condo in Naples, Bonita Springs, Estero or Ft. Myers, contact me. With almost 20 years of experience, I can help provide the market information and insights into individual communities to help you find the perfect home. Most importantly, I will handle all the negotiations to make your real estate transaction as smooth as possible.